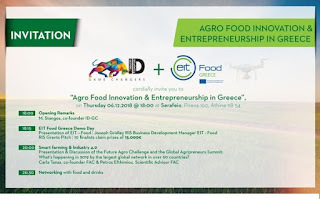 Join us to meet the startups of the future in food and agritechnology. Enjoy the pitching and help them win 15.000€! Find out opportunities to collaborate with EIT FOOD and be part of the strongest European food community! All these and many more on 6th of December,18:00, at Serafeio, City of Athens!